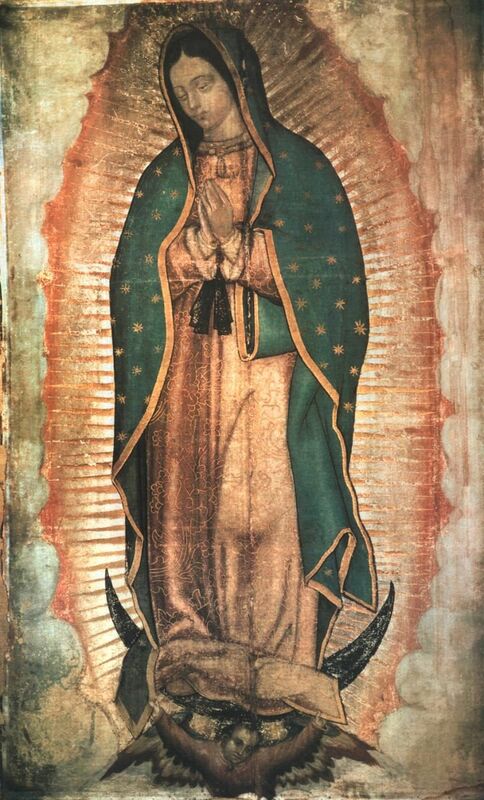 According to Catholic legend, in 1531 the Virgin Mary appeared to a poor indigenous man named Juan Diego and asked him to build a church at that place in Mexico City. When Juan informed the local Bishop he took with him tulips that had miraculously grown on the spot where the church was to be built. When he placed the flowers down they left an imprint of the Virgin on his apron which is still at the shrine to this day.